To The Ends Of The Earth is a youthful and edgy album from Hillsong United. It is a CD that will be snapped up by any fans of guitar-central music from rockers like Delirious and Sonicflood. 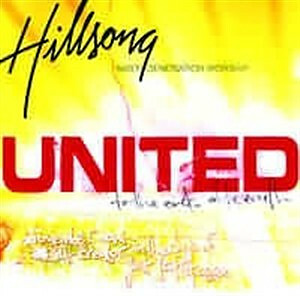 Hillsong United is a raw and exciting worship group that have built a strong fan base from their uncompromising and unrestrained worship songs. To The Ends Of The Earth features cutting edge performances of dynamic modern rock songs such as Data, All About You, Free, My God, All About You, and My God. To The Ends Of The Earth by Hillsong United was published by Kingsway in January 2003 and is our 250th best seller. The ISBN for To The Ends Of The Earth is 9320428001962. Be the first to review To The Ends Of The Earth! Got a question? No problem! Just click here to ask us about To The Ends Of The Earth. 12. Am I To Belive?